GO AHEAD AND STEP ON IT. BEDSTEP® IS A REAL TIME SAVER. Not to mention knee and back saver. 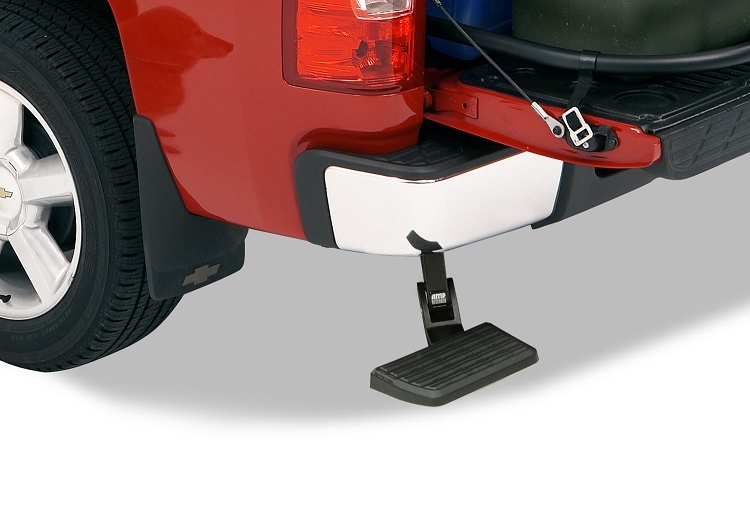 Strong and rugged, this non-slip, retractable bumper step quickly flips down with the nudge of a foot providing a faster, easier and safer way to load or unload your pickup’s cargo. Supports up to 300 lbs. 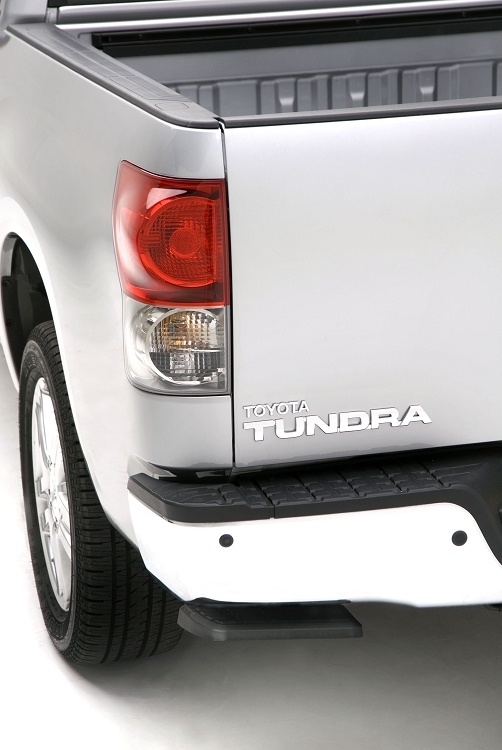 Frame-mounts, under the rear bumper so it works even with an open tailgate or when towing. 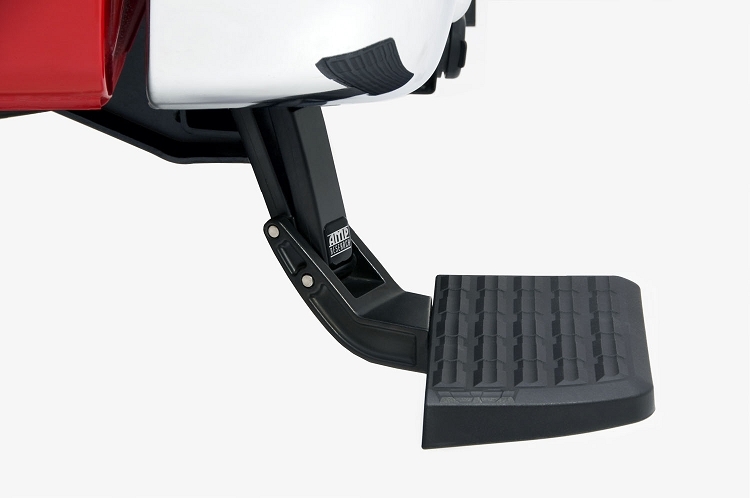 BEDSTEP® is made in the USA and backed by a 3-year/36,000-mile warranty. Follow this link to find a dealer.